Dr. Myong Jae (MJ) Lee is a Professor and the James A. Collins Distinguished Professor at The Collins College of Hospitality Management at Cal Poly Pomona. 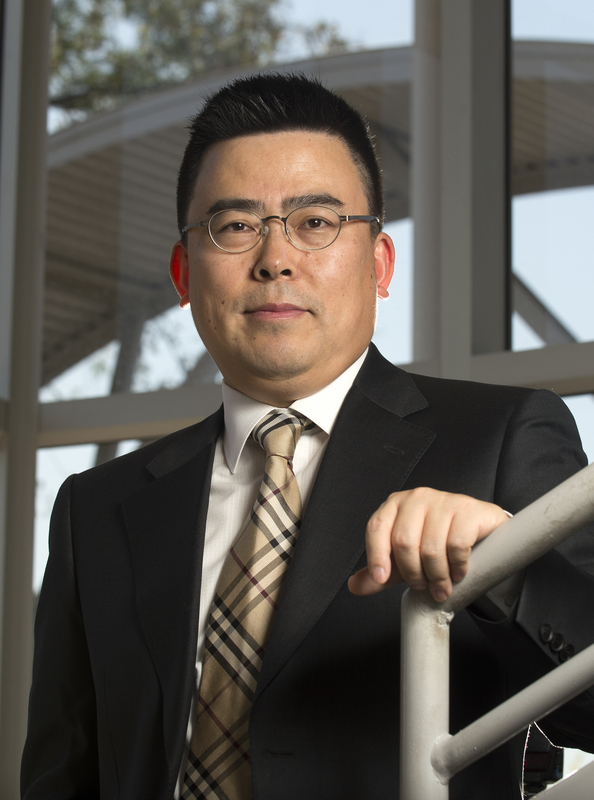 Dr. Lee brings an international perspective to his students from industry and teaching experiences gained at various workplaces and institutions. Prior to joining The Collins College faculty, he served as a Visiting Assistant Professor in the School of Hotel and Tourism Management at Hong Kong Polytechnic University where he taught several hospitality/tourism courses including “Lodging Operations Management,” “ Front Office Management,” “Service Quality in the Hospitality Industry,” “ Convention Planning & Event Management” and “ Exhibition Management .” While pursuing his Ph.D., he was an instructor at the Kansas State University , covering lodging and convention courses. Prior to entering academe, he worked several years in the hospitality industry including Hilton and Aramark. Particularly, he spent three years at the Hilton Hotel & Conference Center at University of Houston as a Front Office Night Manager. At Hilton his primary responsibility was overseeing F/O night operations and night audit. Dr. Lee has published more than 50 refereed journal articles in the areas of convention participation behaviors, customer satisfaction in the aviation industry, organizational behavior in the restaurant industry, event management, and hospitality and tourism education. He has also been a presenter at more than 17 professional and academic conferences. Currently, he is an editorial board member for the Event Convention Research, and serves as an ad hoc reviewer for a number of hospitality/tourism academic journals and conference proceedings, among which includes the Cornell Hotel and Restaurant Administration Quarterly, International Journal of Hospitality Management, Journal of Travel and Tourism Marketing, Management Research News, Journal of Convention & Event Tourism, ISTTE Conference, and Graduate Conference. Han, H., Lee, M., & Kim, W. (2018). Promoting guest towel reuse behaviors: A water conservation management and environmental policy in the hotel industry. Business Strategy and the Environment. (Online First). Ko, S., Kang, S., Kang, H., & Lee, M. (2018). An exploration of foreign tourists’ perceptions of Korean food tour: A factor-cluster segmentation approach. Asia Pacific Journal of Tourism Research, 23(8), 833-846. Lee, S., & Lee, M. (2018). California residents’ gambling motivations: Indian reservations vs Las Vegas casinos. International Journal of Hospitality & Tourism Administration, 19(2), 210-231. Santivong, K., Yun, H., & Lee, M. (2018). Effect of residents’ cognitions regarding cultural attractions in a historic city on place image and tourism development: Focused on UNESCO world heritage, Luang Prabang, in Laos. Journal of Tourism Management Research, 22(3), 981-1003. Han, H., Lee, M., & Kim, W. (2018). Antecedents of Green Loyalty in the Cruise Industry: Sustainable Development and Environmental Management. Business Strategy and the Environment, 27(3), 323-335. Hwang J., Han H., & Lee, M. (2018). Antecedents of travelers’ repurchase behaviour for luxury cruise product. Current Issues in Tourism, 21(7), 821-841. Lee. M., Dopson, L., & Ko, S. (2017). Graduate studies in hospitality management in the United States: Doctoral programs. Journal of Hospitality and Tourism Education, 29(1), 25-34. Han H. Hwang J., & Lee, M. (2017). The Value-belief-emotion-norm model: Investigating customers’ eco-friendly behavior. Journal of Travel & Tourism Marketing, 34(5), 590-607. Wang, Y., Lee, M., & Huh, C. (2017). Factors Influencing Chinese Outbound Exhibitors to U.S. Exhibition Market: Exhibitors’ Motivational Factors and Characteristics. Asia Pacific Journal of Tourism Research. 22(8), 850-862. Lee, M., Dopson, L., & Ko, S. (2016). Graduate study in hospitality management in the United States: Master of Science programs. Journal of Teaching in Travel & Tourism, 16(3), 213-227. Lee, S., & Lee, M. (2016). Exploring what motivates gambling among California residents: Indian reservations casinos. International Journal of Tourism Science, 16(3), 1-22. Lee, L., Lee, M., & Dewald, B. (2016). Measuring the Customers’ Perception of Tangible Service Quality in the Restaurant Industry: An Emphasis on Upscale Dining Segment. Journal of Foodservice Business Research, 19(1), 21-38. Han, H., Lee, M., & Hwang J. (2016). Cruise travelers’ environmentally responsible decision-making: An integrative framework of goal-directed behavior and norm activation process. International Journal of Hospitality Management, 53(1), 94-105. Lee, M., Huh, C., & Jones, M. (2016). Investigating quality dimensions of hospitality higher education: From a student’s perspective. Journal of Hospitality and Tourism Education, 28(2), 95-106. Chang, H., Huh, C., & Lee, M. (2016). Would an energy conservation nudge in hotels encourage hotel guests to conserve? Cornell Hospitality Quarterly, 57(2), 172-183. Lee, M., Lee, S., & Joo, Y. (2015). The effects of exhibition service quality on exhibitor satisfaction and behavioral intentions. Journal of Hospitality Marketing & Management, 24(7), 683-707. Lee, M., Huh, C., Lee, J. (2015). Business cycle and long-term debt: Effects on hotel operating lease. Journal of Hospitality Financial Management, 23(2), 138-146. Lee, M. (2015). An investigation of spa-goers’ intention to visit a luxury hotel spa: An extension of Theory of Planned Behavior. Pan-Pacific Journal of Business Research, 6(2), 15-31. Lee, M. & Lee, S. (2014). Subject areas and future research agendas in exhibition research: Visitors’ and organizers’ perspectives. Event Management, 18(3), 377-386. Lee, M. & Kang, Y. (2014). Subject areas and future research agendas in exhibition research: Exhibitors’ perspectives. Event Management, 18(2), 185-194. Lee C., Lee, M., & Yoon, S. (2013). Estimating the economic impact of convention and exhibition businesses using a regional Input-Output model: A case study of the Daejeon Convention Center in South Korea. Asia Pacific Journal of Tourism Research, 18(4), 330-353. Lee, M., Kim, S., & Kim, W. (2012). Service employees’ organizational citizenship behaviors and customer-oriented behaviors: An accountability theory perspective. Journal of Foodservice Business Research, 15(4), 335-361. Lee, M., Seo, J., & Yeung, S. (2012). Comparing motives for exhibition participation: Visitors’ versus exhibitors’ perceptions. International Journal of Tourism Science, 12(3), 1-19. Kim, M., Lee, M., Lee, C., & Song, H. (2012). Does gender difference affect overseas travel? Applying the model of goal directed behavior. Asia Pacific Journal of Tourism Research, 17(5), 509-533. Hyun, S., Kim, W., & Lee, M. (2011). Impact of advertising on patron’s emotion, perceived value, and behavioral intentions in the chain restaurant industry. International Journal of Hospitality Management, 30(3), 689-700. Lee, M., Singh, N., & Chan, E. (2011). Perceived justice needs and recovery efforts in the hotel industry: A text-mining approach. Journal of Vacation Marketing, 17(3), 197-208. Lee, M., Olds, D., & Lee, C. (2010). Why students choose a hospitality and tourism program: A study of undergraduate students in the United States. Journal of Hospitality & Tourism Education, 22(4), 20-26. Lee, M., Yeung, S., & Dewald, B. (2010). An exploratory study examining the determinants of attendance motivations as perceived by attendees at Hong Kong exhibitions. Journal of Convention and Event Tourism, 11(3), 195-208. Kim, W., Ok, C., & Lee, M. (2009). The relationships among the antecedents of organizational citizenship behaviors in foodservice businesses. Cornell Hospitality Quarterly, 50(2), 180-197. Lee, K., Lee, M., & Kim, H. (2009). Effectiveness of events management curriculum as perceived by students and industry professionals. Journal of Hospitality, Leisure, Sports & Tourism Education, 8(2), 60-73. Singh, N., & Lee, M. (2009). Theory construction: Convergence and congruency of pictorial destination images in DMOs’ Web sites and brochures. Journal of Hospitality Marketing and Management, 18(4), 845-858. Kim, N., Kim, H. & Lee, M. (2009). An examination of the determinants of customer loyalty in the online travel industry: A comparative analysis in differences between groups based on technology readiness. Korean Journal of Hospitality Administration, 18(5), 121-144. Lee, K., Lee, M., & Kim, H. (2008). Comparing perceptions of events management curriculum: A factor-correspondence analysis. Event Management, 12(2), 67-97. Kim, S., Lee, M., & Chon, K. (2008). Study motivations and preferences in the Korean hospitality and tourism field. Journal of Marketing for Higher Education, 18(2), 216-239. Lee, M., Kim, S., & Lo, A. (2008). Perceptions of hospitality and tourism students toward study motivations and preferences: A study of Hong Kong students. Journal of Hospitality, Leisure, Sports & Tourism Education, 7(2), 45-58. Lee, M., & Back, K. (2008). Association meeting participation: A test of competing models. Journal of Travel Research, 46(3), 300-310. Singh, N. & Lee, M. (2008). Exploring perceptions toward education in 3-D virtual environments: An introduction to “Second Life.” Journal of Teaching in Travel and Tourism, 8(4), 315-327. Lee, M., & Lee, K. (2007). Convention and exhibition center development in Korea. Journal of Convention & Event Tourism, 8(4), 101-120. Lee, M., & Back, K. (2007). Association members’ meeting participation behaviors: Development of meeting participation model. Journal of Travel & Tourism Marketing, 22(2), 15-33. Lee, M., & Jang, S. (2007). Market diversification strategy and financial performance and stability: A study of hotel companies. International Journal of Hospitality Management, 26(2), 262-275. Lee, M., & Back, K. (2007). Effects of destination image on meeting participation intentions. The Service Industries Journal, 27(1), 59-73. Ma, J., Kim, S., & Lee, M. (2007) HTM study of motivation and preference: A comparison between master’s students of mainland China and Hong Kong. Asian Journal of Tourism & Hospitality Research, 1(1), 99-112. Lee, M. (2006). Analytical reflections on the economic impact assessment of conventions and special events. Journal of Convention & Event Tourism, 8(3), 71-85. Lee, M., & Geddie, M. (2006). Impact of an airline merger on customer satisfaction: The case of American Airlines/Trans World Airlines (TWA) merger. International Journal of Hospitality & Tourism Administration, 7(1), 47-61. Lee, M., & Joo, Y. (2006). The role of motivators and inhibitors in association meeting participation: An application of Theory of Planned Behavior. Event Convention Research, 2(1), 87-108. Lee, M., & Back, K. (2005). A review of economic value drivers in convention and meeting management research. International Journal of Contemporary Hospitality Management, 17(5), 409-420. Lee, M., & Back, K. (2005). A review of convention and meeting management research 1990-2003: Identification of statistical methods and subject areas. Journal of Convention & Event Tourism, 7(2), 1-20. Lee, M., & Lee, K. (2005). Association members’ perceived importance and performance of convention destination attributes. Event Convention Research, 1(1), 159-173.